Whether you are shipping your car to or from Oklahoma, Best Price Auto Shipping is your online source for getting the BEST PRICE on shipping your vehicle. Fill out the short, simple, no obligation quote form to the right, then start receiving and comparing your auto transport quotes. Do you need to ship a car to or from the State of Oklahoma? Oklahoma is one of the most beautiful states to live or visit in the United States. Maybe your are relocating to Oklahoma or just need to have your vehicle transported to or from here, either way at Best Price Auto Shipping we will guide you through the entire Oklahoma auto shipping process. Whether you need to ship one car or multiple vehicles we got your covered, just simply fill out the short, simple quote form above, or call 800-691-2347 to start receiving Oklahoma auto transport quotes. You might be interested to learn a few fun facts about the great state of Oklahoma, for example did you know most of Oklahoma was obtained by the United States as a part of purchasing Louisiana in the year 1803. During the 19th century, the government of United States relocated Indian tribes from southeastern part of the country to this region. The government allowed the settlers to cross the border at a particular hour to claim property in the region. Some people violated the time allowed by crossing the border earlier and were called ‘sooners’, which became the reason that Oklahoma bears the nickname, “The Sooner State” today. This state shares boundaries with Colorado and Kansas in the north and Arkansas and Missouri in the east. Oklahoma has suffered from natural disasters such as strong winds and drought, which destroyed many farms in the state and created the ill-famed “Dust Bowl” during the great depression era. Oklahoma is the 47th state to officially join the United States of America. It obtained statehood on 16th November 1907. By area, Oklahoma is the 20th biggest state in the U.S. It covers an approximate area of 69,899 square miles (approx.181,035 km2). By population, Oklahoma ranks 28th in the U.S. having a population of around 3,878,051 according to the estimates of July 2014. Oklahoma City is the State Capitol and is the biggest city in Oklahoma in terms of population. Official estimates of July 2013 reveal that the city has a population of around 610,613. Other major cities in Oklahoma include Tulsa, Norman and Broken Arrow, all having respective populations of around 398,121, 118,197 and 103,500 according to the official estimates of 2013. Weather in Oklahoma City is hot in summer and it gets slightly cool in the winter. Average yearly temperature in the month of July is around 94°F (34.4°C), while in January the temperature averages around 29°F (-1.8°C). After getting admitted to the union, oil business in the state formed a major part of its economy. However in the modern era, Oklahoma has diversified its businesses and now agriculture, energy, health care, aviation, natural gas and manufacturing all are parts of the state’s economy. Chief exports from Oklahoma are comprised of products from manufacturing and they include civilian aircraft engines and parts, parts of pumps, electric conductors and centrifugal pumps. On the other hand, Oklahoma’s major imports include crude oil, automatic data processing storage units, parts of helicopters and airplanes and internal combustion engines. One of the most famous roads in the U.S., “The Mother Road” or U.S. Route 66 also passes through Oklahoma. In fact, the longest stretch of the U.S. Route 66 passes diagonally through Oklahoma State. It starts at the northeastern corner of the state and passes through Tulsa and Oklahoma City and then enters Texas. Oklahoma State Highway 9 is also a major highway which begins at Texas and then terminates near Fort Smith, Arkansas. Another major highway is Oklahoma State Highway 51 which goes from Tulsa to Stillwater. Interstate 35 (I-35) is also a major highway in Oklahoma. It starts at Red River, Texas and ends near Braman, Kansas. Other notable highways in Oklahoma include Interstate 40, Interstate 44 and U.S. Highway 69/75. Oklahoma is one of the cheapest states in the U.S. in terms of gasoline prices. Currently the price of regular gasoline stands at around $2.38 per gallon. 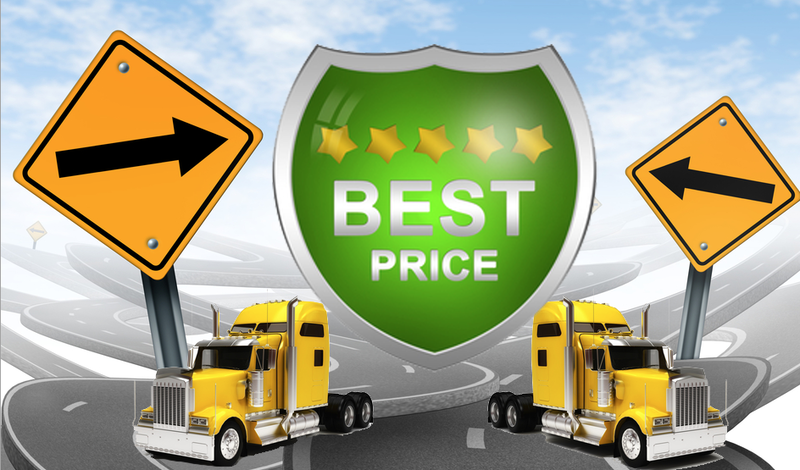 So whether you are shipping a car to Oklahoma or from Oklahoma, Best Price Auto Shipping has you covered.